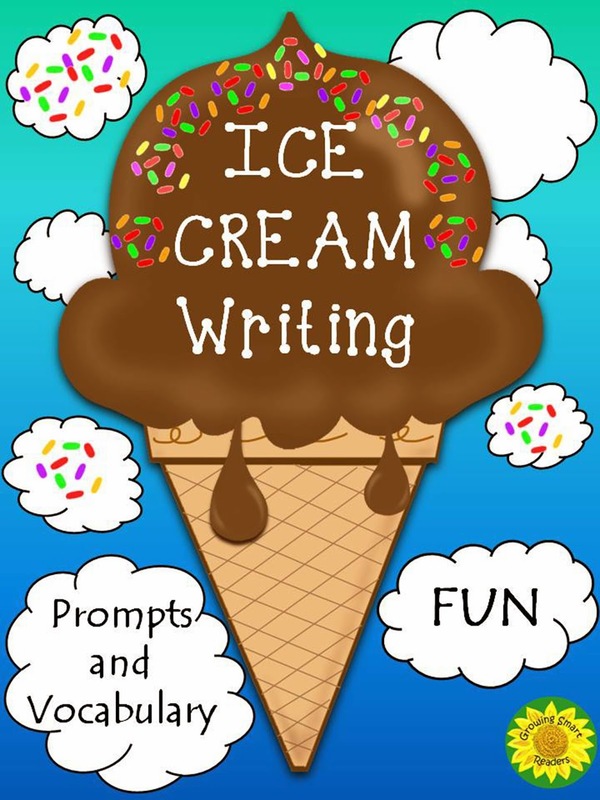 This new resource will prompt your students to write about their "flavor-ite" kind of ice cream or soft serve. Six prompts, ice cream content vocabulary and optional templates are included. Be sure to stop by and take a peek at my other writing resources that celebrate Earth Day and spring! Even hesitant writers DO get excited about writing, when they get to write about things that they can connect with. Start with this flavorful fun writing! Thanks for checking out this ice cream writing resource! You can find more fun stuff at my store: Growing Smart Readers.